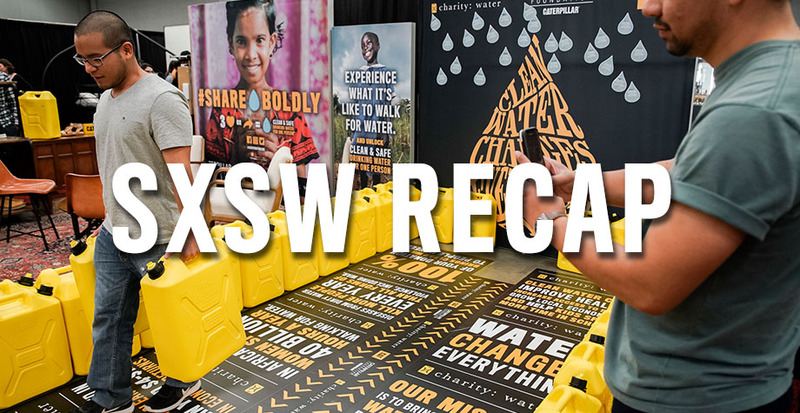 If you were scrolling through your social feeds and felt like you were missing out by not being at SXSW in Austin, we’re here to give you the recap. 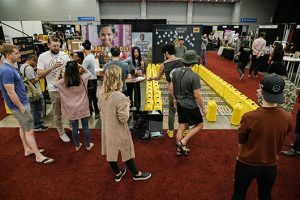 Cat Footwear was there for the SXSW Marketplace, in the Austin Convention Center for 3 days, March 15-17, and we had a blast. The SXSW Marketplace brought together local Austin boutiques and hand-selected national and global brands to create a unique shopping experience at the epicenter of SXSW. It was just in it’s second year, but was nestled adjacent to the popular Flatstock poster show sensation and SXSW Gaming Exhibition, and saw a lot of people come through it’s doors. The Marketplace was open to all badge holders from around the world, as well as non-badge holders and local visitors. 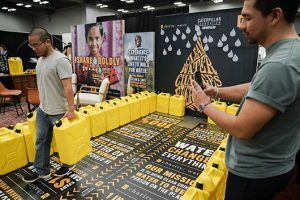 Partnering with charity:water, Cat Footwear designed an interactive booth to raise awareness for how many people don’t have access to clean water around the world. charity: water helps to bring awareness to large issues about water and their mission is to bring clean drinking water to every person on the planet. Clean water can improve health, increase access to food, grow local economies and help kids spend more time in school. 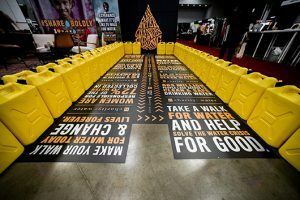 We hosted a “water walk”, where participants could carry two jerry cans weighing up to 40 pounds down the walkway for 40 feet to experience a small portion of what it’s like to walk for water. 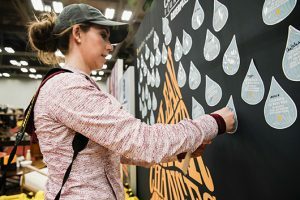 Upon completion, participants were given a water droplet sticker to write their name on and place on the back wall. 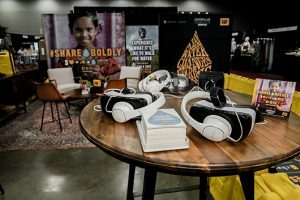 There was also a Virtual Reality Experience were Marketplace attendees were encouraged to watch an 8 minute VR film on one girl’s journey for water. Each participant who completed the film or the water walk unlocked a donation equal to clean and safe drinking water for one person. Along with the water walk, we had a charging lounge and temporary tattoo station where attendees were invited to apply a “Clean Water Changes Everything” temporary tattoo. 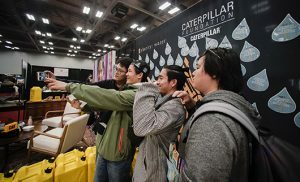 In total at the end of the event, Cat Footwear in partnership with the Caterpillar Foundation was able to donate $78,780 to charity:water. Thank you to everyone in Austin who came out to participate! 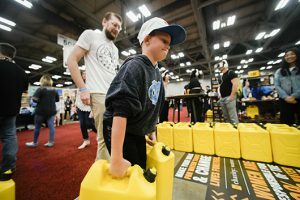 We, in partnership with the Caterpillar Foundation, launched the campaign with charity: water at SXSW and as a part of the campaign, the Caterpillar Foundation will donate up to $250,000 by the end of 2018 to charity: water. Throughout 2018, we and the Caterpillar Foundation will continue to promote our efforts for clean water for the rest of the year, including promotions at our 171 Cat Monobrand Stores around the world.